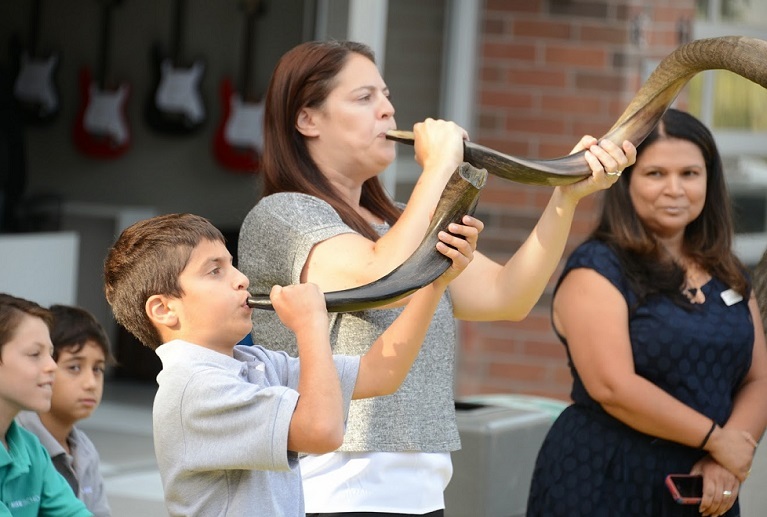 At Wise School, we believe that in order for our children to establish an understanding of and deep connection to Jewish customs, tradition, and the land of Israel, we need to provide them with rich, meaningful, and relevant Jewish experiences. Our Judaic Studies program allows our students to express themselves B’Ivrit (in Hebrew) naturally and organically as bilingual learners and engage in personal inquiry through art, music, and technology while learning Jewish Studies. We enable our students to experience wholeness when celebrating Kabbalat Shabbat, participating in invigorating and uplifting services and by emphasizing our connection to Israel. Through active participation in all aspects of Jewish life experiences, our children experience wholeness and learn the importance of making great happen for Los Angeles, the Jewish people, and the world.